So lovely, I ordered a smaller one for another area in my home. 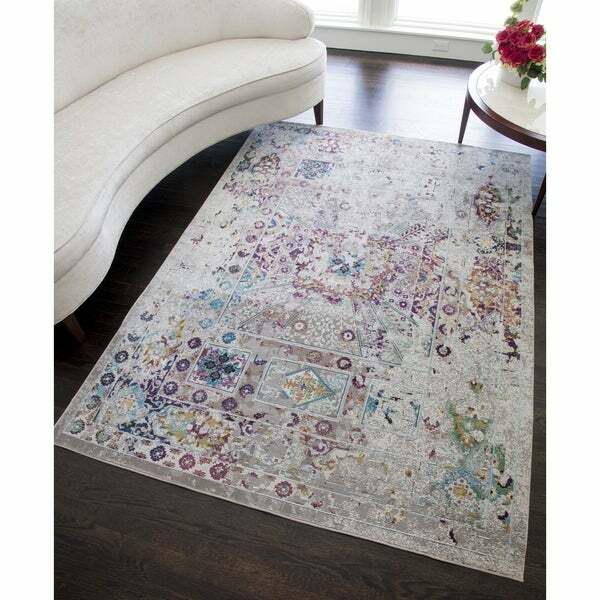 Oliviero Dark Denim Vintage Area Rug - 5'3" x 7'3"
Showcase a touch of vintage style with the Elleene area rug. Designed with a traditional motif, the pattern features a cool faded quality, giving it dynamic form. It's constructed from strong polypropylene so it also can withstand even the busiest room in your home. Revitalize your space with a décor piece that can suit any aesthetic. Couristan Outdoor Escape Under the Sea/Ocean Indoor/Outdoor Area Rug - 3'6" x 5'6"